Once roasted, most of the coffee beans look alike. 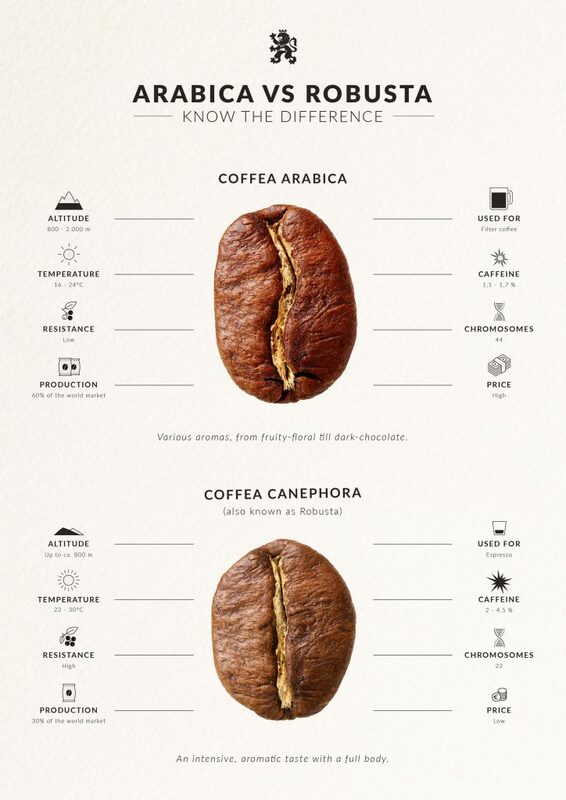 But do you know that there is plenty of different variety of coffee beans out there? You may have noticed that there are different names on the coffee bag labels like “100% Arabica” for example, but do you actually know what it means? There are over 100 coffee species, but when it comes to our daily cup of coffee there are only two that matter: Arabica and Robusta (also known as Coffea Canephora). Arabica beans tend to have a sweeter, softer taste with tons of sugar, fruit, and berries. Their acidity is higher, with that winey taste that characterizes coffee with excellent acidity. It has less caffeine in comparison to Robust seeds, 1.5% caffeine content. The seeds contain almost 60% more lipids than Robusta and almost twice the concentration of sugar. The Arabica green beans are twice as expensive as the Robusta, it is because it is much more specific cultivation requirements such as weather and altitude to grow.Arabica makes up a huge 75% of the World’s coffee production today. The beans are of oval shape. The beans are grown in Africa, Papua New Guinea, and dominantly in Latin America. Colombia produces only Arabica beans. In comparison to Arabica, Robusta has its taste often described as rubber or wood. Its acidity levels are lower and simpler flavor compounds, meaning that it tastes less sweet. The Robusta coffee trees are easier to grow, and more resilient to weather and disease. This is the main reason why Robusta green seeds are half price cheaper than Arabica. Its strong and bitter taste is also present as a result of the caffeine content in the seeds, which reaches 2.7 %, almost double of the Arabica seeds. The seeds are of circular shape. It is grown exclusively in the Eastern Hemisphere, in Africa and Indonesia. In the end, it’s a thing of personal taste. Some all-Arabica blends are too high and floral, some of the dark harshness of Robusta can be a good thing in a blend. 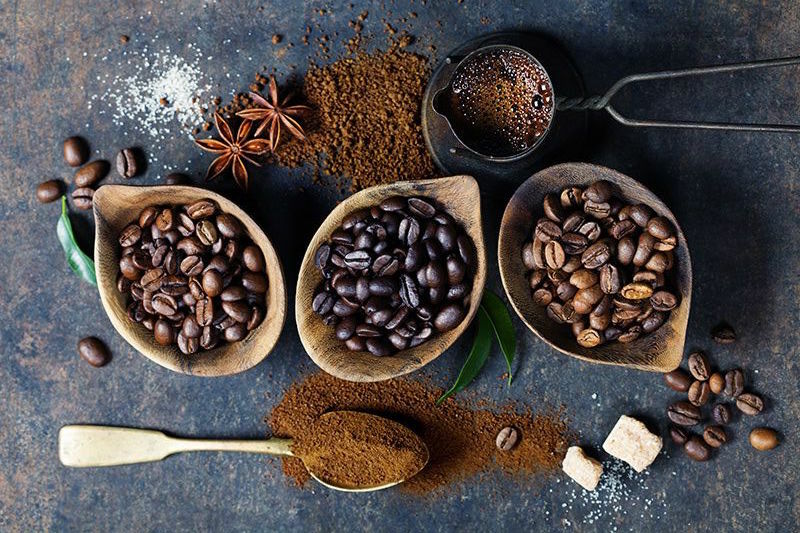 For this exact reason, Pio Gastro Bar and Bistro, the Latin restaurant in Antalya, uses a blend of Arabica and Robusta seeds, for your best coffee experience. With all the sweet notes of Arabica together with the bitter Robusta, we created the perfect mix, for the most delicious Espresso and Americano you can have in Antalya city.